Not only does Northumberland have the most northern Green Road in England and Wales, it also has the highest and longest. 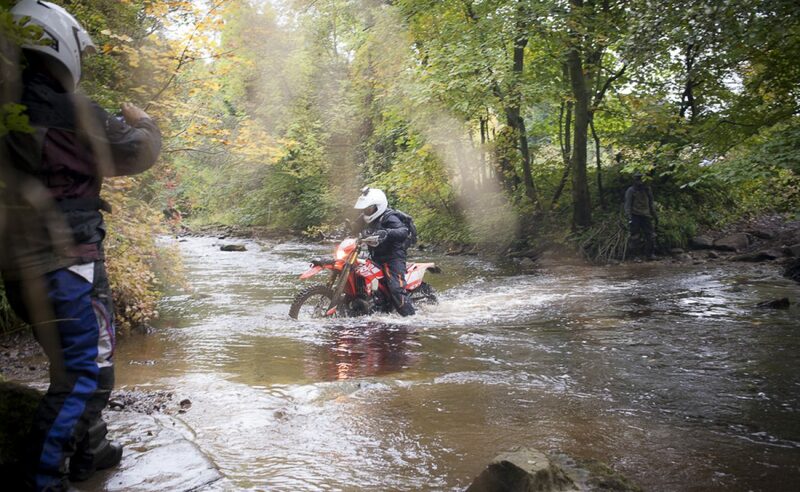 A perfect location for two days riding. 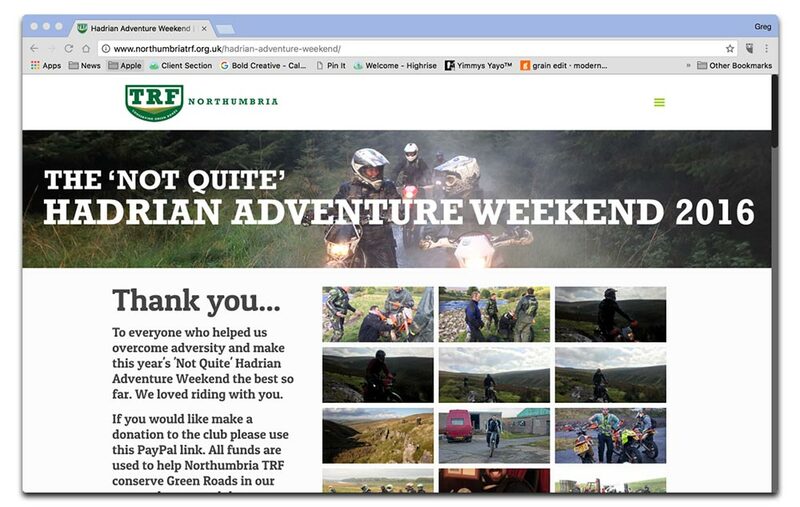 This year Herts TRF member Michelle Burrows packed the van and headed north for Northumbria TRF's Hadrian Adventure Weekend. Did she remember the snorkel and wetsuit though...? Last year was tough. 2015 included two knee operations and a strict regime of home exercise and gym sessions to aid recovery. 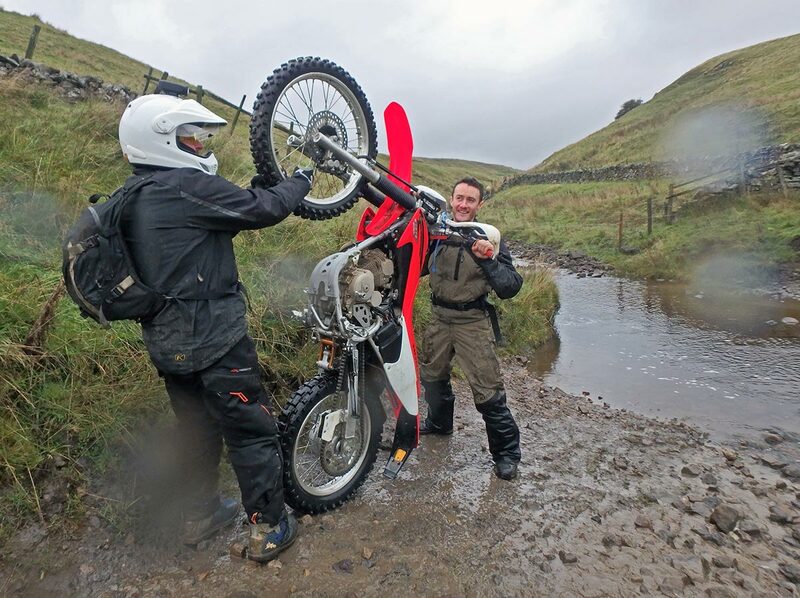 Suddenly no more adventures on two wheels for what would turn out to be 19 months! 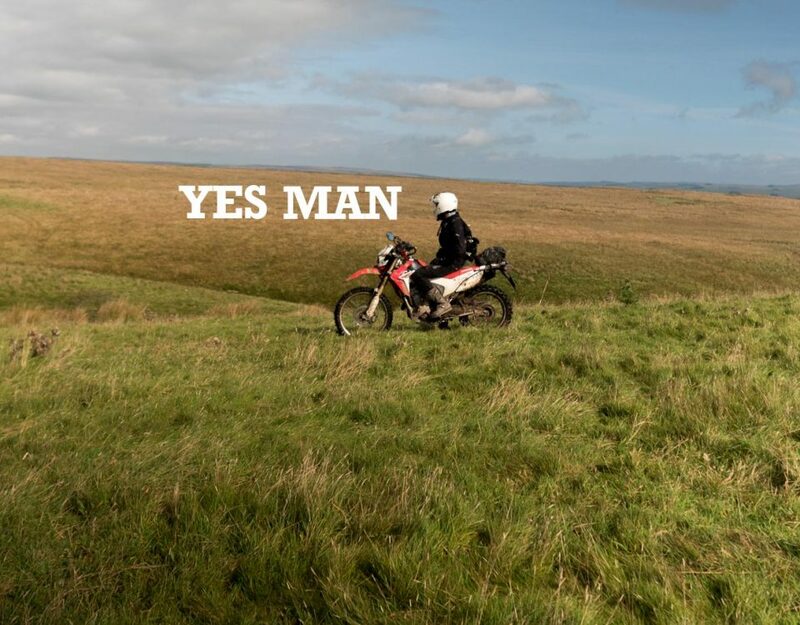 The TRF ‘Hadrian Adventure Weekender’ popped up in my Facebook feed and it sounded exciting; I needed a goal to aim for and so I promised myself that next year I would get back on the bike and get to this event. I ran the idea by my boyfriend Dan when it was advertised via the TRF Facebook page earlier this year, as always he needed little persuading. 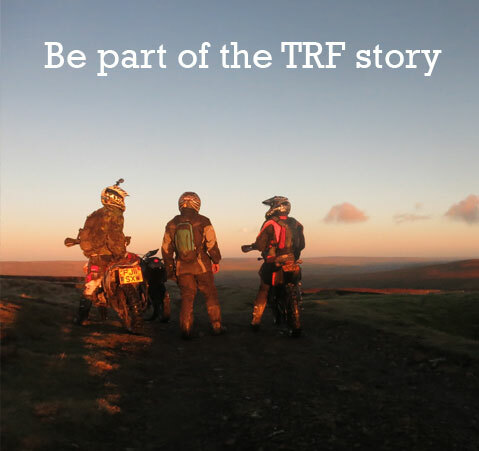 I’d connected with another TRF female member too and made the suggestion to her, she too rode with her partner and it seemed a good chance to all finally meet up. We made the booking. On the run up to the event I’d managed to get out only 3 times on the bike with Dan, but appropriately Northumbria TRF were putting on two different rides at this event, a ‘make tracks’ group and a ‘scenery’ group - in order to get the best experience and challenge we both wanted, we decided to ride in different groups. 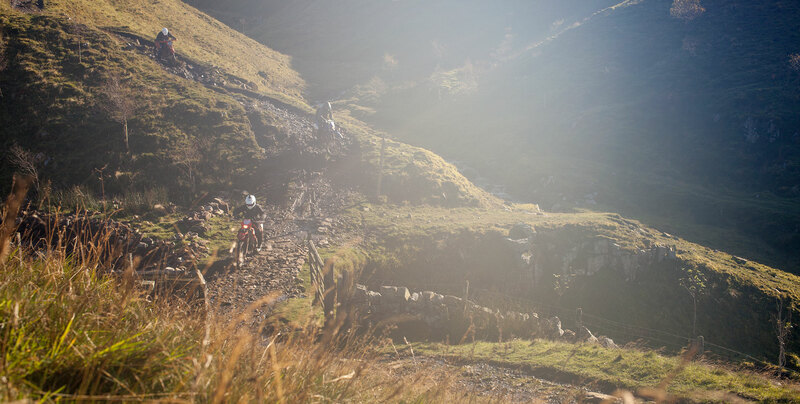 I felt excited about the weekends’ riding up north but quite apprehensive what with my lack of time on the bike, the riding on new terrain and riding without Dan’s encouragement and patience. 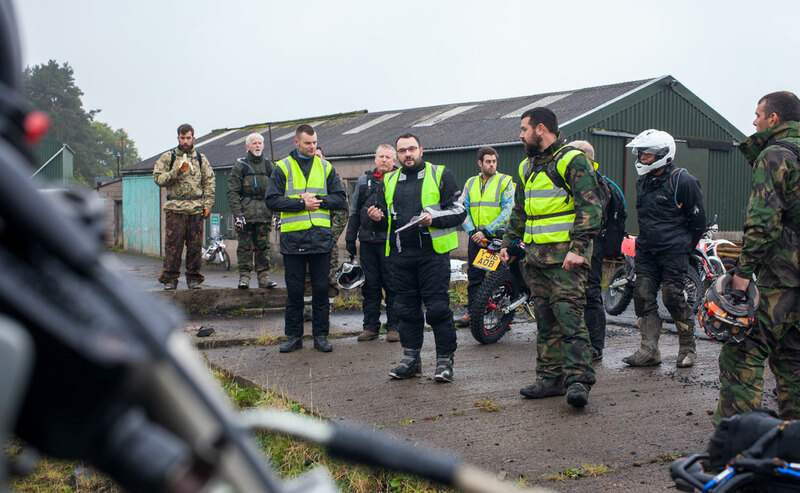 We received further information about the event nearer to the time and an important update as our ride meeting point changed at the last minute; they also detailed options for socialising with other riders in the evenings which was super helpful as it turned out to be a good way to share stories from the days riding and meet other riders. 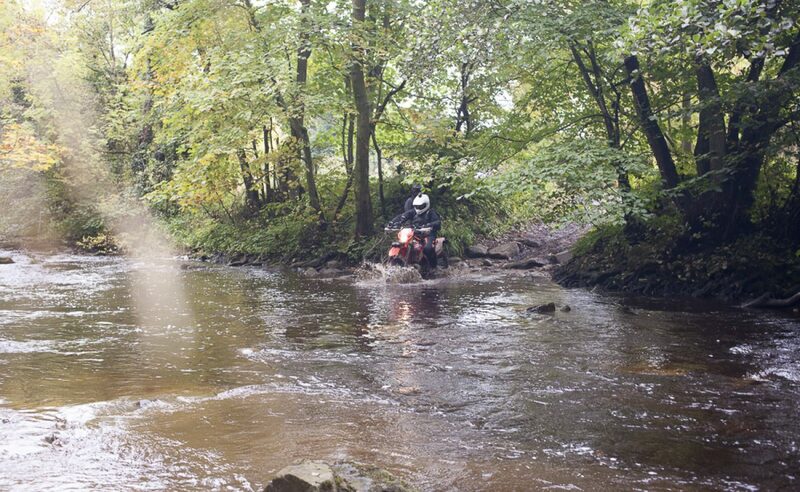 On the Saturday we rode off from our campsite to meet everyone and luckily the Northumbria TRF guys were out on the roads and guiding us in so there was no chance of us getting lost. There was some jiggling about of ride groups to be done and I felt a bit nervous, but on arriving at my meeting point having said my good byes to Dan, his last words being “gimme a call if your having trouble and want picking up” - I gradually met members of my group as we got chatting, everyone was welcoming and really friendly. It was great meeting other TRF members from all over the country, Neil was from Newcastle, Jane from Carlisle, and Paul and Pete were members of Hertfordshire TRF. 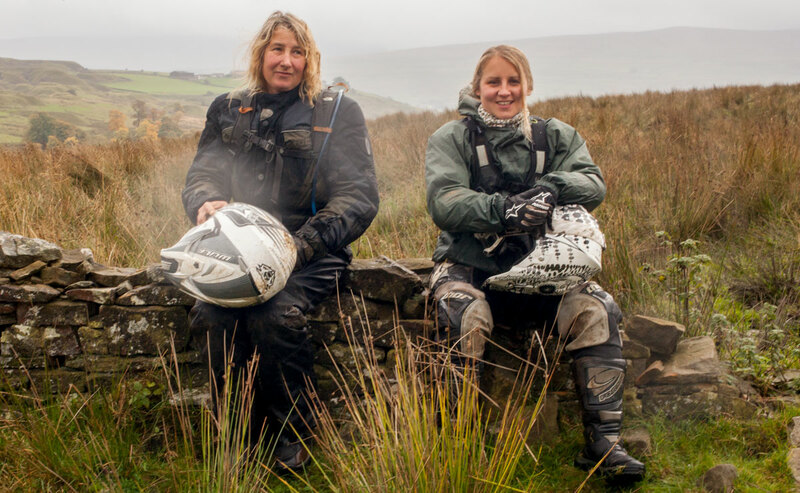 Jane told me she had only learned to ride a dirt bike in the last year, and also felt a bit nervous – I think this was an important sharing of information as I think we both took a bit of pressure off ourselves. 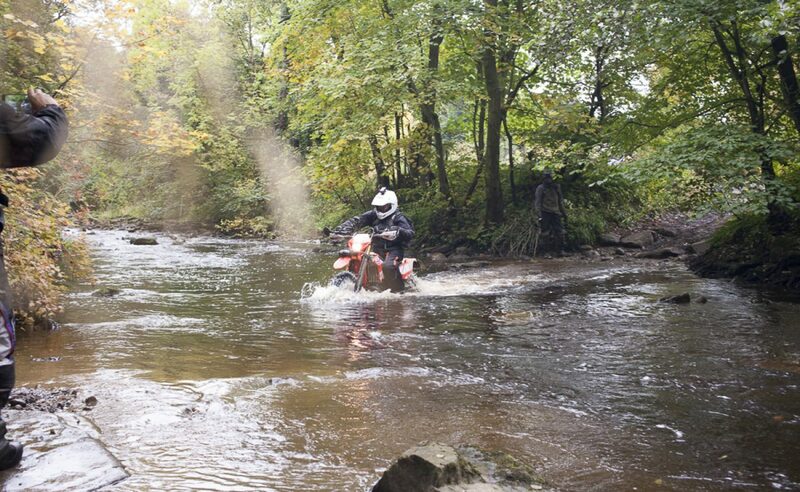 I’d never attempted a river crossing before on a motorbike, the first river on the Sunday looked quite deep and rocky, as I watched a few of the group go across. I wasn’t feeling over confident about it and Jane looked like she hadn’t decided if she was going to attempt it either, but Greg told us we didn’t have to go across as there was another way. I then saw that Jane had walked off quietly back to her bike, and put on her helmet. She went for it! Taking a line slightly further right, it looked like a much smoother crossing with less rocks. I soon got back on my bike and followed Jane’s line. 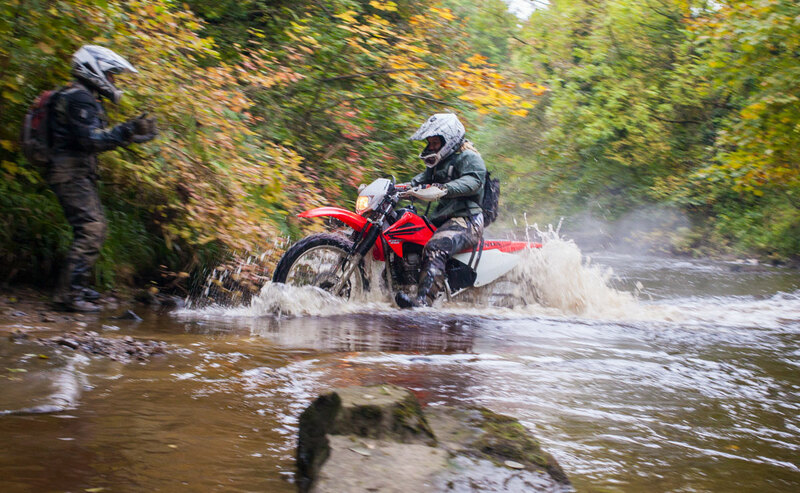 She stood the other side of the river and shouted me across to help keep my focus “look at me, look at me!” I adopted a different technique, I am vertically challenged my bike has been lowered quite a bit - to avoid the water going in my boots I rode the whole way across with my legs up in front of me, and pulled the throttle! Made it with dry-ish feet. 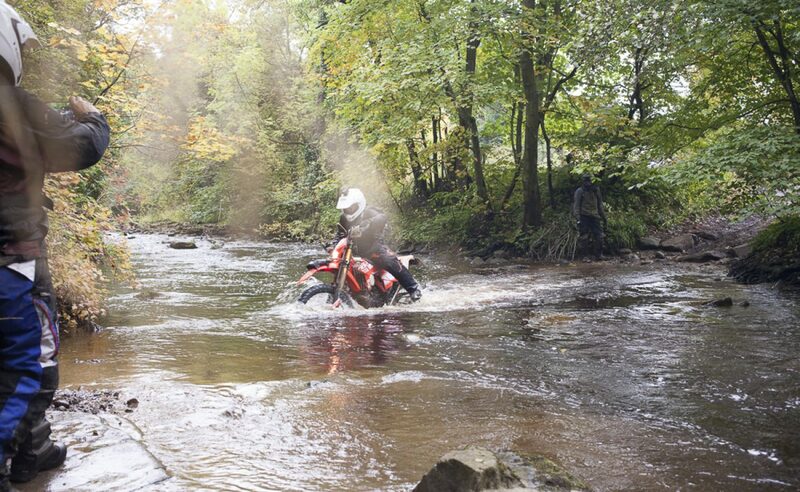 It felt good to get across, excited, adrenalin still pumping I high fived at Jane! 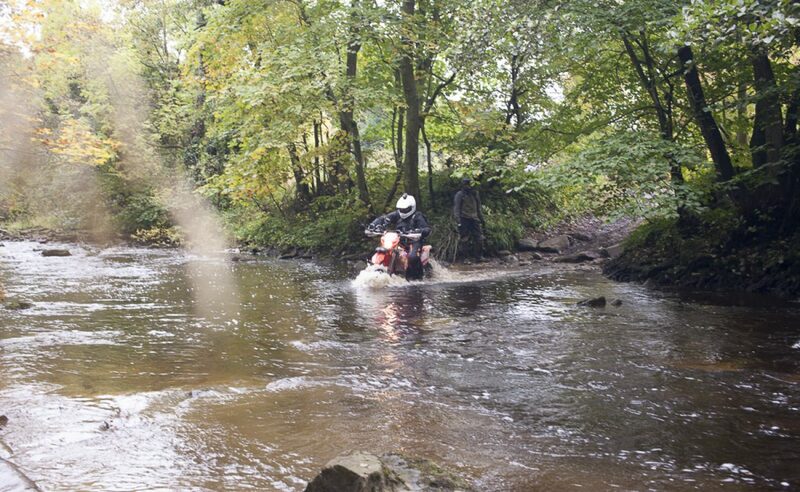 My confidence was growing I felt another river crossing would be a doddle compared to that. 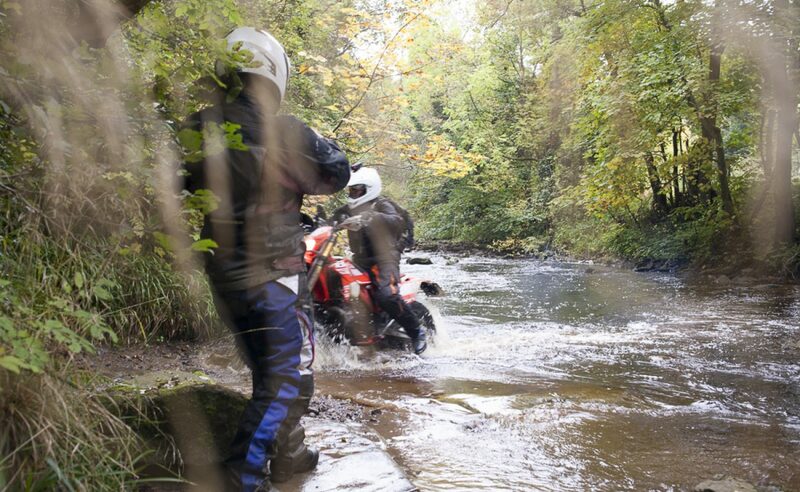 Later that day crossing what looked like a really easy stream, I fell off. 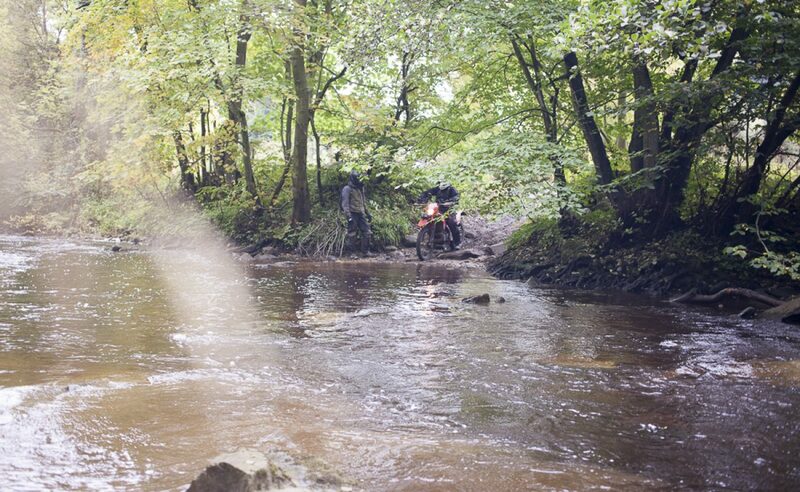 My bike was laying down in the water, my boots full to the brim, Jane shouted for me to lift the rear end to avoid the exhaust and air box flooding. 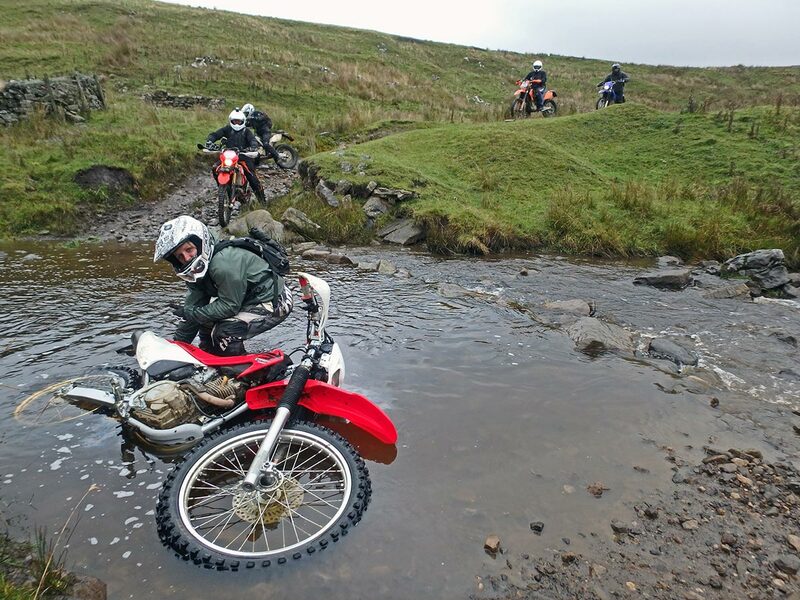 Greg ran down to take a quick photo of me trying to save my bike, before properly helping me out along with the rest of the group, they tipped the front end of the bike up to get rid of any water. Although the bike started first time it was about half an hour later that things didn’t seem to feel right with the bike. The whole group got involved in taking a proper look at it to see where the problem was - I learned quite a bit a about my bike over the next 30 minutes as Greg dissected bits of it with his new tool kit. 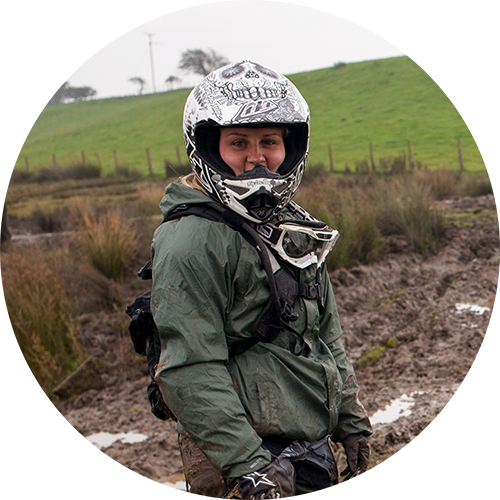 We found water in the air box – Jane dried out my air filter with the fumes and heat from her exhaust. Our run leader Greg had explained there would be a tricky section coming up later in the day. Tricky in that had a huge drop off on the left hand side; we would be going down it. ‘Tynehead’ came towards the end of day two, I was pretty tired before hitting this section but got down it very slowly with Paul’s encouragement the whole way. It was knackering, I certainly didn’t make things easy for myself but Greg reminded me of the view I was missing out on by looking down so much. 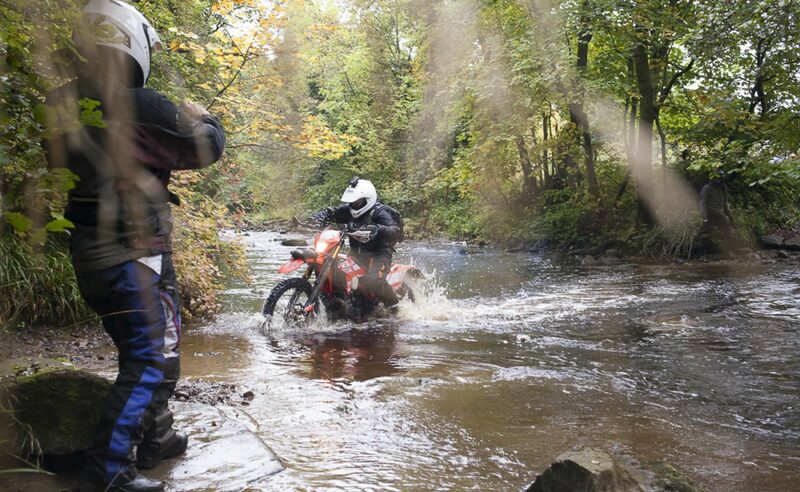 Each day we stopped for lunch at a local café, Greg nipped in each time to check they were ok having a bunch of muddy wet bikers in and around their establishment, there was never a problem. It was a good chance to get to know everyone a bit better over lunch and on day two a great opportunity to dry our gloves out a bit and get warm inside. 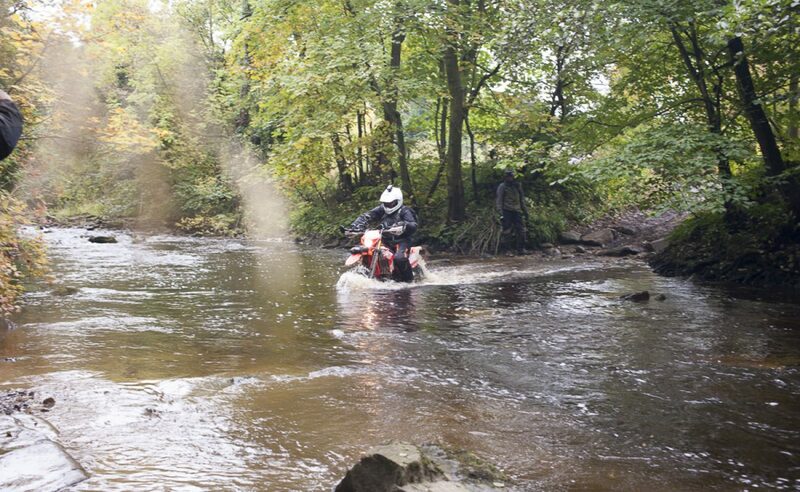 We came across other green road users over the weekend, someone on a quad bike, walkers, and also plenty of horse riders. 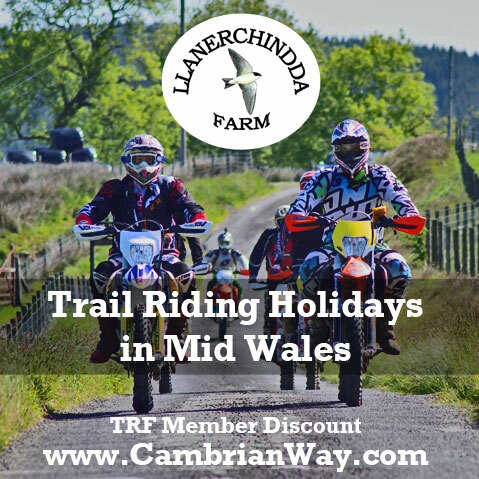 Plenty of smiles were exchanged - the byways here seem bigger, there’s plenty more of them compared to where I usually ride and so perhaps there is a greater feeling of space, for everyone to share. 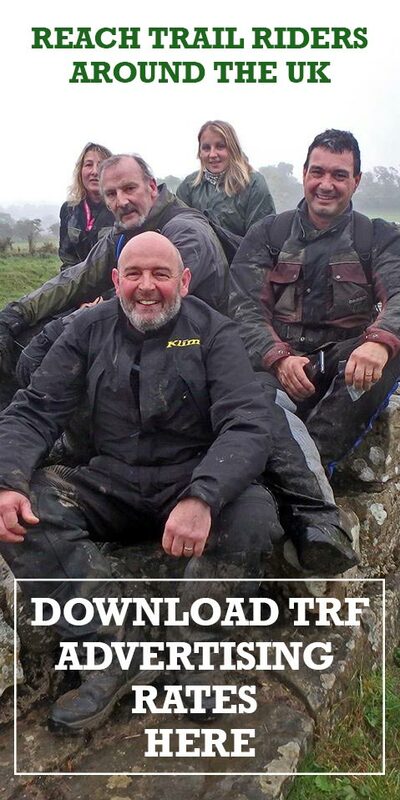 Each time our run leader spotted a horse rider there would be a hand signal to slow right down and eventually turn off our engines to let them pass peacefully, not to alarm the horses; the riders always seemed appreciative of this. 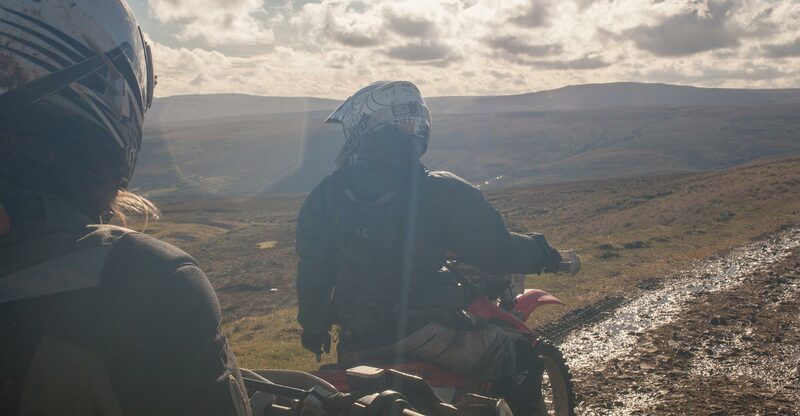 Looking and thinking back over what the two days entailed is a little bit mind boggling, it felt like we covered every type of terrain going and encountered and overcome every type of hurdle in trail biking. 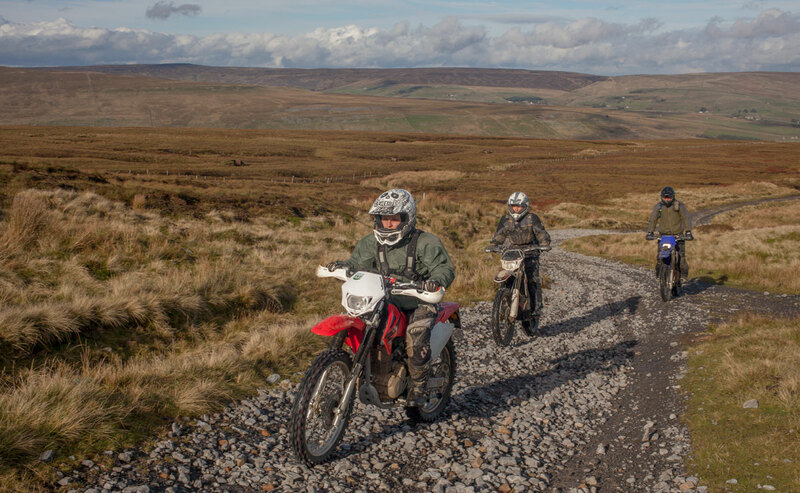 We got to ride the highest byway in the UK too but what struck me most about riding in Northumbria were the massive doses of scenery you are constantly exposed to. When the fog wasn’t thick it was so spectacular! 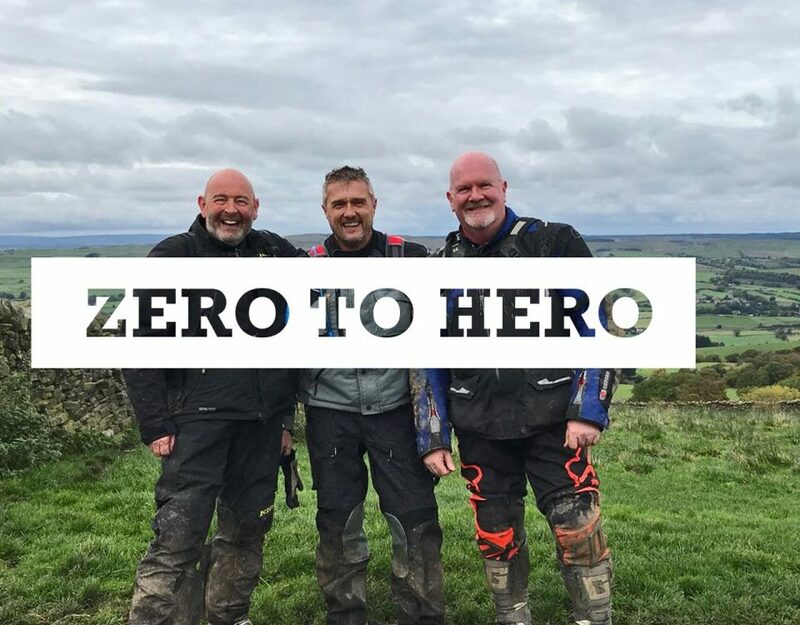 On day two Greg stopped to pull over on a tarmac road and we soon realised why - it looked across onto the geographical marker on which Hadrian’s Wall follows, it is a stunning view. Jane points out she has climbed there before – The rest of the group remind Greg which famous movie that Sycamore tree (aka Sycamore Gap) features in… Robin Hood Prince of Thieves!! Having plenty of time to stop and take in where we were made the experience more memorable, I felt I was riding with like minded people, our attitudes to each day were very open and laid back. Safety was important but so was having a laugh and helping each other out on the ride. Having a fixed rider at the back of the group and a knowledgeable run leader gave us all reassurance, and allowed us to relax and focus on the journey. 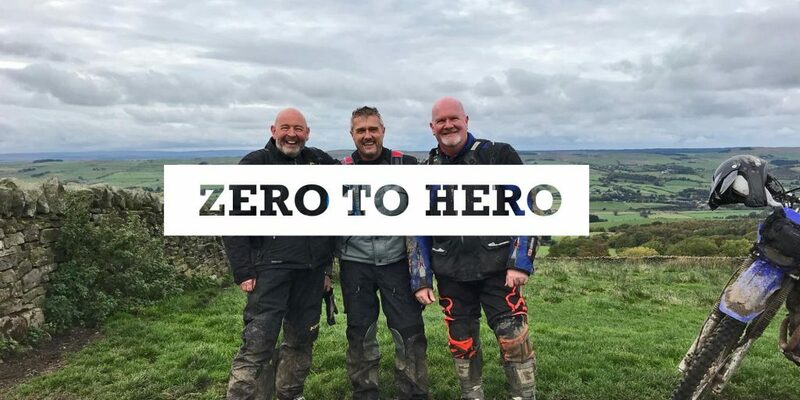 The two days riding covering nearly 200 miles was a really big achievement for everyone, we all got to ride outside our comfort zones and push ourselves physically. 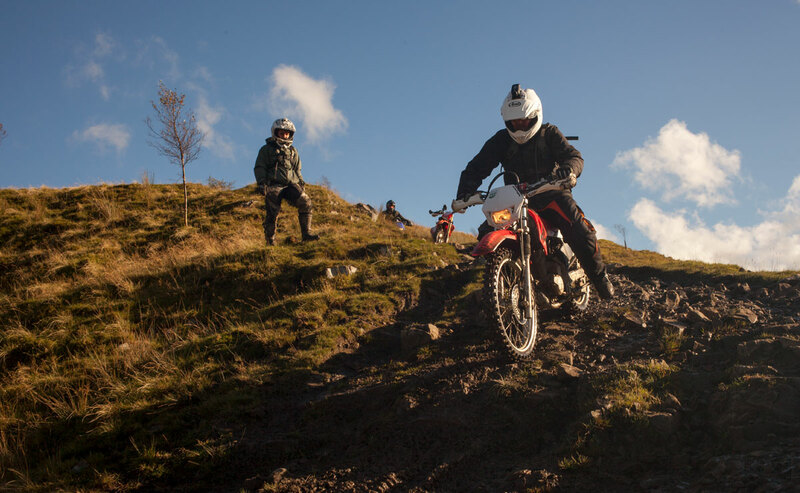 I am certain I was not the only one riding with a massive grin under my helmet for the majority of the weekend! 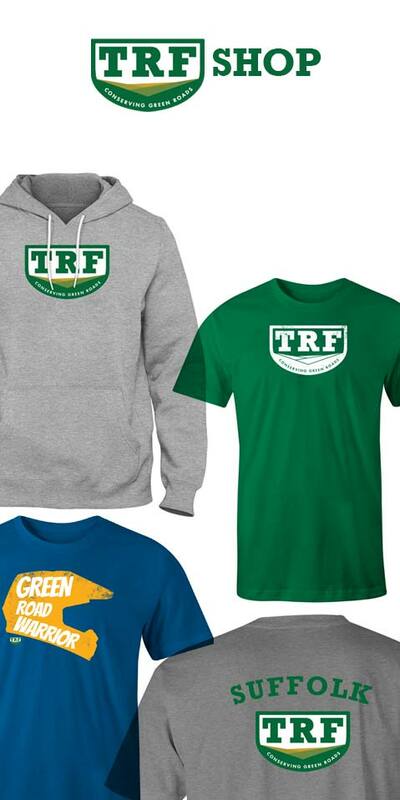 Wear the TRF with pride. The new TRF Shop. Now open.